New one gallon (128 ounce) size! 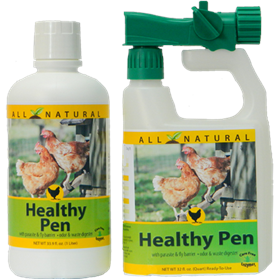 Healthy Pen protects against parasites and flies, and helps eliminate stinky barn odors. No matter how much we want them to be, coops and barns are rarely pest-free. Even the cleanest coop can be home to mites, lice, flies, mosquitoes, and fleas. 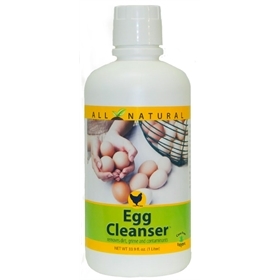 Natural enzymes and oils in this product attack parasites at all stages of life, and repel flies, mosquitoes and other bugs! In addition, the enzymes break the chain of NH3 (ammonia) and NH4 (ammonium acetate) into N - nitrogen, thereby neutralizing poopy odors. Fleas, mites, and lice like to live in the cracks, crevices, and bedding of your coop and run. These nocturnal pests may be hard to spot because they only come out at night to feed on the adult and baby birds. Flies and mosquitoes are easier to see, but they are a constant nuisance. Flying insects are an additional threat because they can carry viruses that can affect the health of your flock.Healthy Pen helps get rid of both types of pests, for a safer, healthier flock! 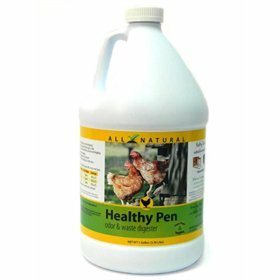 Healthy Pen also improves air quality by breaking down the ammonia in poultry waste. Ammonia (NH3) and ammonium (NH4+) are extremely harmful to the respiratory systems of birds, but the enzymes in Healthy Pen help break them down into harmless levels of nitrogen, via natural processes. This process both neutralizes the odors, and helps create a more healthy environment for your hens. Directions: Shake well before each use. Use every two weeks. Spray (light mist) for 30 seconds over the entire contaminated area. (Do not rinse with water afterward! Let the product soak in.) Over-spraying will not cause harm to birds or environment. No restrictions when used as directed. This is a non-hazardous product and requires no special handling. Use the following dilution rates (as found on the refill bottle). Rates are per one gallon of water. 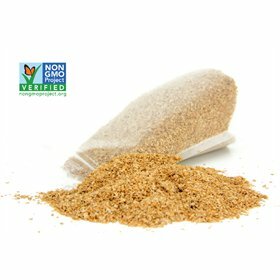 Active Ingredients: Lemongrass 1.5%, Geranium Oil 1.5%, Potassium Sorbate .01% by weight. Inert Ingredients: Water, Yeast, Citric Acid, D.E. (diatomaceous Earth) 96.9%. All ingredients meet EPA requirements as a minimum risk pesticide under the 25(b) FIFRA.